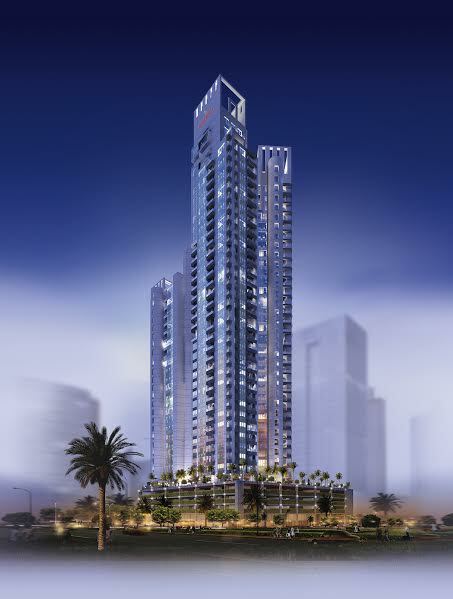 Dubai, UAE: Richreit Real Estate Development will reveal unique features and key attractions of the 40-floor Mövenpick Hotel Apartments Al Burj Business Bay at Cityscape Global from 6th to 8th September at Dubai World Trade Centre. Located on Burj Khalifa Boulevard, the luxuriously furnished, fully serviced residences overlook the world’s tallest building with spectacular views of Dubai’s iconic landmarks such as the Opera District, the Dubai Mall, partial fountain views, the Dubai Canal Project and has the city’s financial and commercial hubs at its doorstep. According to Ahmed Butti Ahmed Al Muhairi, Chairman at Richreit Real Estate Development, careful planning and stringent quality control of lifestyle projects is critical. We have hence designed the orientation of the towers that makes the most of the panoramic views, offers extra surface area to the investors and the building is triple glazed for added comfort and keeping acoustics in mind. “At Richreit Real Estate Development, we like setting new benchmarks for our industry by delivering immersive projects that promote sophisticated lifestyles and luxury living in vibrant communities. Our hotel is easily accessible with lots of greenery, covered gardens, retail space, beauty clinic, restaurants, meetings facilities, lobby lounge, health clubs with pools and yoga classes and has an entire floor dedicated to a spa,” added Al Muhairi. Investors are always attracted to projects that combine aesthetics and amenities with a long-term strategy. The Richreit towers have spacious studios with one, two, three and four bedroom apartments and the choice is perfect for investors looking for upscale investment residences in a prime area. The layouts of the residence appeal to different tastes and desires and every home is equipped with the latest branded kitchens in addition to premium quality furniture, fixtures and fittings. The project will feature quality carpets, grey oak finishes, quartz stones and the lighting consultants have selected tasteful high end Italian designs. For privacy, the building features U-shaped corridors and all areas are disabled friendly. The landscaped covered gardens are designed for kids, adults and families separately with ample space for everyone. Richreit Real Estate Development appointed Sherwood International Property from the initial stages to be the exclusive master agents of the project. The Sherwoods team overlooks the sales process and marketing of the development. The project is ideal for investors and residents looking to experience a high-end lifestyle in a world-class property that is part of Dubai’s growing luxury real estate scene. With industry expertise and market reputation, Richreit Real Estate Development is delivering projects with high standards of sustainable living for Dubai’s growing population. To find out more, visit Richreit Real Estate Development during Cityscape at stand number S3F45 in Sheikh Saeed Hall. Richreit Real Estate Development LLC is a socially and financially responsible real estate developer determined to change Dubai’s skyline. Spearheaded by societal pillars Mohammad Ahmed Saeed Al Qassimi and Ahmed Butti Ahmed Al Muhairi, Richreit Real Estate Development holds fast to the principles of sustainable development from both a financial and lifestyle point of view. Richreit only builds in premium locations with genuine advantages that ensure long-term asset appreciation for investors and carefully designed to maximise quality of life.